Award-winning cartoonist Drew Dernavich looks forward to Cris Cohen’s new humor book. by Cary, NC, humor writer and blogger Cris Cohen, has received a rousing endorsement from Drew Dernavich, cartoonist for The New Yorker magazine. Due out in the fall, Staying Crazy To Keep From Going Insane, will be a collection of Cohen’s humor columns, most from the years he spent as a columnist for several newspapers in California as well as new ones he’s written since he and his family moved to Cary, NC, in 2008. Cohen sent a pre-publication copy of his book to Dernavich, who is also the winner of the National Cartoonists Society’s “Reuben Award” as the best gag cartoonist in the nation. Cohen is publishing Staying Crazy To Keep From Going Insane as a way to raise money for a local baseball league for children with special needs, including his own son, Max. He will donate proceeds from sales of the book to the league. Cris Cohen is also the author of the humor blog “Nothing In Particular: Trying Not To Take Life Too Seriously” at criscohen.typepad.com. For more information on Staying Crazy To Keep From Going Insane, visit www.stayingcrazy.com and the Facebook page: www.facebook.com/stayingcrazy. 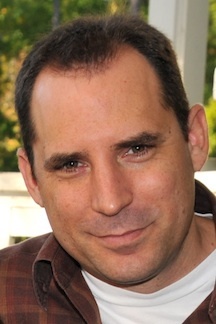 Cris Cohen, the author of the Nothing In Particular blog, was born in Buffalo, NY, and grew up in a suburb of Los Angeles, eventually graduating from the University of Southern California. After a stint in rock radio in Los Angeles and Santa Barbara, Cris started writing his humor column for a collection of California newspapers. He eventually gravitated toward the tech world and Silicon Valley, working for companies such as Netscape and Cisco Systems. Cris, his wife Michele, and their young son Max moved to Cary, North Carolina, in 2008. Cris’ blog is available at http://criscohen.typepad.com. 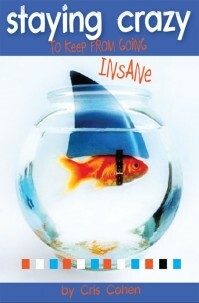 His first book, Staying Crazy To Keep From Going Insane, is due out in the fall of 2011.